Creation Date Monday, 17 November 2014. Currently, Cambrian has a total contract funding of $1.6 million and is expected to receive $3 million once the three-phase contract completed its first phase on 2015 or 2016. These grants intend to explore how recent breakthroughs in biotechnology potentially enhance the development of water management same as water treatment, testing and remediation. The DOD and NIH grants are fueled initially to provide substantial and wide-ranging benefits to the national security and human health. “Developing reliable renewable sources of water and effectively monitoring water quality are two of today’s greatest resource challenges,” said Matthew Silver, Cambrian Innovation CEO. The NIH contracts awarded to Cambrian primarily aim to support projects in treating contamination in groundwater. The two are classified as BTEX Contaminated Groundwater Remediation by Bio-Electrochemical Systems and the Rapid Field Testing Kit for Determining Arsenic Contamination in Groundwater. On the other hand, the DOD grant focuses on harnessing the renewable bioenergy sources released in the water treatment process and to further achieve net-zero alternative goals for the Army and Navy in 2020. 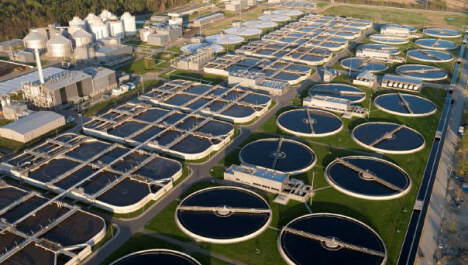 Recent innovations in clean water and energy technology intrinsically offer new solutions for large-scale industries and municipalities. Aqua Solutions is dedicated to providing leading edge, laboratory water purification systems including Type I Biological Grade DI Systems engineered to produce ultrapure water. To learn more about our vast array of lab water systems that suit biological applications, visit www.aquaa.com/type-i-systems-for-biological-applications today.